CLEVELAND — The wind is howling, snow is piling up, but inside the IX Center this weekend, it feels like a little taste of summer. 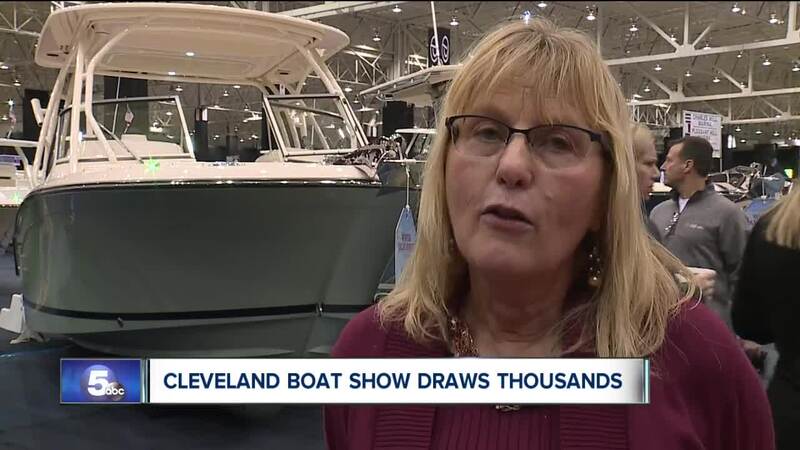 The Progressive Cleveland Boat Show brought thousands of people out of hibernation and inside to enjoy more than 500 boats, along with indoor scuba diving, live entertainment, and many more activities. But the main attraction, this year and every year? The “Twiggy” show is celebrating its 40th year this year, rescuing and rehabilitating squirrels. Despite the snowstorm, attendee Ruth Powell drove more than an hour from Ashtabula County to check out the latest in boating. Sam Gifford said he’s been coming to the boat show for the last 15 years, but this year, he said, felt different. That’s because, according to manager Michelle Burke, it is different — the largest boat show in a decade. “I think this weather reminds us how much we relish boating and the summer time,” Burke said, laughing. Monday is Kids’ Day at the Progressive Cleveland Boat Show, running from 10am to 5pm. For more information, click here .